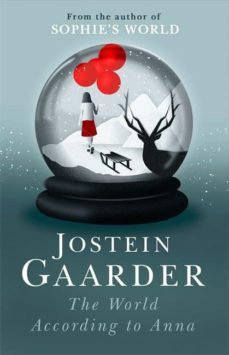 On the 20th anniversary of SOPHIE'S WORLD, Jostein Gaarder returns with a spell-binding fable about a girl who begins to receive messages from another time... STATION ELEVEN meets THE LITTLE PRINCE. When fifteen-year-old Anna begins receiving messages from another time, her parents take her to the doctor. But he can find nothing wrong with Anna; in fact he believes there may be some truth to what she is seeing. Anna is haunted by visions of the desolate world of 2082. She sees her great-granddaughter, Nova, roaming through wasteland with a band of survivors, after animals and plants have died out. The more Anna sees, the more she realises she must act to prevent the future in her visions becoming real. But can she act quickly enough? Haunting, gripping and magical, The World According to Anna is a fable for our time.